ADF Scans up to 11"x17" sheets. Up to 20,000 pages per day duty cycle ! The Kodak i3450 Scanner delivers consistently high throughput. Whether you're scanning in color or black and white, at 200 or 300 dpi, images, text or mixed-size documents — it doesn't matter, it just gets done. With a 250-sheet feeder/elevator you can neatly and efficiently scan large or small batches with ease. Our design ensures continuous throughput with rapid-fire scanning and less risk of jamming. Proof that a smaller design doesn't have to compromise features. We've managed to engineer heavy-duty features into a device that takes up less space on your desk and less time in your day. Scanning is really only half the story. Configuring image profiles, defining job names and file destinations, and distributing information is truly crucial. That's where Kodak's Smart Touch functionality takes over. It streamlines repetitive tasks like filing to your server, simplifies distribution of content, and makes access to your data easy, whether you're in the office or out on the road. Easily integrates with all TWAIN, ISIS, and Linux-based scanning applications so managing your data is just as easy as scanning your documents. Intelligent Document Protection is on duty for every document you scan. So scan fearlessly, with the assurance that your documents — and the information they contain — are protected. Some contracts are not just unbreakable, they're unbendable, too. For those instances, simply choose the straight-through paper path option. This bypasses rotary scanning, enabling you to feed thick or exceptionally long documents right through. Make no mistake, these scanners are made to last. Designed to impress your most experienced employees and make life easier for workers who are just getting started. When it comes to getting work done day after day, depend on scanners that truly deliver. 12 in. x 34 in / 2.5 in. x 2.5 in. 12 in. x 34 in / 2.0 in. x 2.0 in. up to 12" x 160" continuous feed. The Kodak i2900 and i3000 series require an additional accessory kit to allow for rear side, post scan document imprinting. 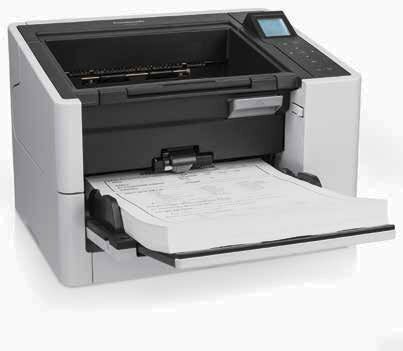 This imprinter has 9 print positions (i2900) or 11 print positions (i3000 series) and can print up to a 40 character alpha-numeric print stream on the REAR side of the document AFTER it has been scanned. NOTE: The stamp is NOT on the scanned image. Upgrade your Kodak Capture desktop software to the Capture Pro version to take full advantage of your scanner's features. Uplifts Send & Exchange warranty to 48 Hour Advance Unit Replacement (AUR) for the first 90 days and extends coverage an additonal 9 Months. Uplifts Send & Exchange warranty to 48 Hour Advance Unit Replacement (AUR) for the first 90 days and extends coverage an additonal 33 Months. Kodak Consumable Kit for the i2900, i32X0 and i34X0 scanners. Includes: 1 feed module, 4 replacement tires for feed module, 4 pre-separation pads, 2 separation rollers, 4 replacement tires for the separation roller. This kit should last for up to 1 Million scans. Usage: Replace as required because of damage and/or scratches. Works Great...Feed the sheet and IT cleans the scanner transport for you ! 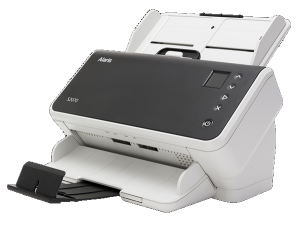 "Kodak Alaris describes the i3250 Scanner ($4,995) on its website as a departmental-level document scanner. 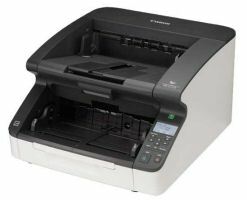 However, as one of the lowest-cost models on that list, it's also a more-than-reasonable choice for a large workgroup or a midsize office that needs to scan at larger than letter and legal size, and also needs a letter-size flatbed. The combination makes the i3250 our Editors' Choice for heavy-duty scanners for a large workgroup or midsize office."